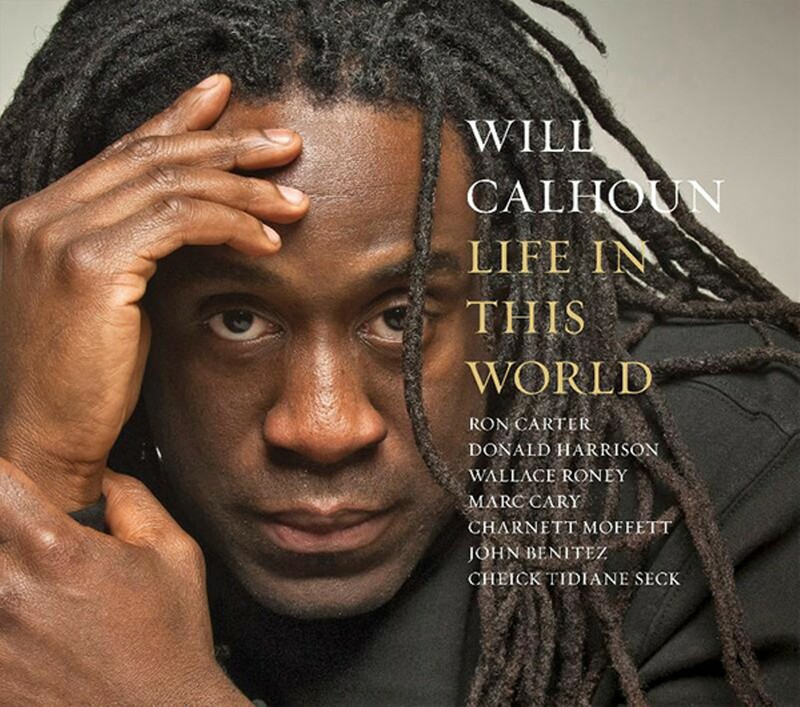 Will Calhoun announces his entrance on the first track of Life in This World with thunderous rolls around the tom toms: His muscular attack is like that of a hard-rock drummer, but he quickly eases into a swing pattern on the ride cymbal, adding snare and bass drum accents as he and bassist Charnett Moffett stir up a progressively polyrhythmic current behind Wallace Roney's Harmon-muted trumpet and Marc Carey's rippling piano lines. The Moffett composition, titled "Brother Will," suggests the sound of the 1964-68 Miles Davis Quintet. Ron Carter, who played bass in that monumental band, is even present on two of the album's twelve songs.